After surgery for an injury or degenerative condition, the road to recovery can be a challenging one. 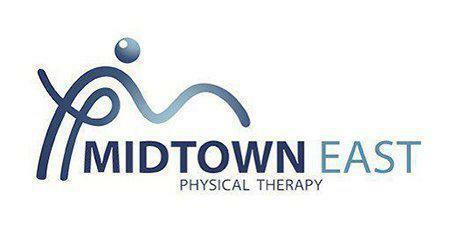 The expert physical therapists at Midtown East Physical Therapy are with you every step of the way, with a natural, whole-person approach to postoperative rehabilitation. The highly trained physiotherapists, Gregory Trakhtenberg, MPT & Dmitry Shestakovsky, DPT, provide their knowledge and assistance for a speedy recovery, and offer comprehensive postoperative rehabilitation services for patients of all ages. To learn more, call one of the offices in New York City or schedule an appointment using the online system. Postoperative rehabilitation is a program designed to help restore motion, muscle strength, and proper joint function after surgery for a degenerative condition or an injury. Drs. Trakhtenberg and Shestakovsky at Midtown East Physical Therapy take an individualized approach to your rehabilitation, since each person is different and recovers at their own pace. It’s important to understand that postoperative rehabilitation is a process, not a quick fix after surgery, and the physiotherapists and sports medicine experts are there to help you make progress as efficiently as possible. What can I expect from my postoperative rehabilitation program? If you know you’re going to have surgery for an existing condition, Drs. Trakhtenberg and Shestakovsky may prescribe beginning a treatment protocol before your operation. Preoperative exercises can help maximize joint motion and contribute positively to your overall strength and endurance, so you can potentially recover faster after your procedure. As you continue to work through your postoperative treatment, you should see improvement in all of these areas. Your therapist works closely with you each step of the way to ensure your safety and progress, especially since the road to full recovery involves some discomfort as your body heals. It’s important to be committed to your postoperative rehabilitation program, so you have the right frame of mind when it becomes challenging. Each small step brings you closer to recovery, and Drs. Trakhtenberg and Shestakovsky are there to support your efforts. What are the stages of postoperative rehabilitation? For each of these stages, your therapist may give you a specific goal, like walking without crutches, or standing or sitting without assistance. Once you have met your initial postoperative rehabilitation goals, you may work with your therapist to achieve others, like returning to your favorite sport or resuming your usual exercise program. Since each individual circumstance is different, Drs. Trakhtenberg and Shestakovsky create a rehabilitation program that helps you achieve your personal goals. Learn more by calling one of the New York City offices or scheduling a consultation online.